I talk about real time/real world advocacy a lot on this blog. I like to think of it as “advocacy for the every day man (or woman)” – basically meaning that you don’t have to be associated with some big animal organization, you don’t have to be wealthy or influential, you don’t even have to own a pit bull (heck you don’t even have to own a dog for that matter). All you need is to care. And I’m not even talking about just caring for pit bulls; the issue reaches much farther than that. 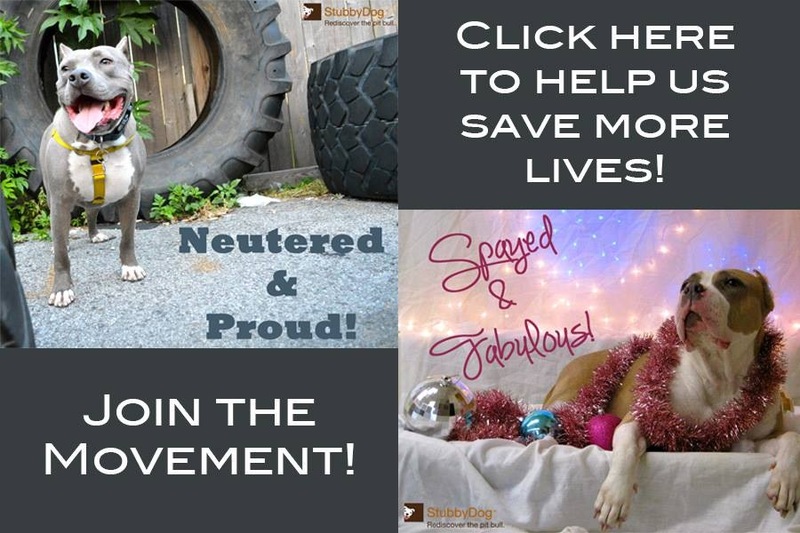 -about safe communities (and helping communities understand the actual causes of dog bites and attacks, and therefore do a better job at preventing them), you should be a pit bull advocate. 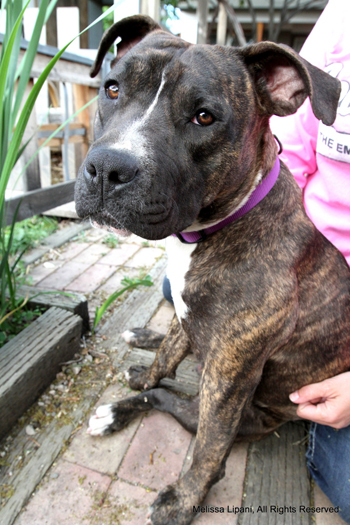 -about dogs in general, you should be a pit bull advocate. 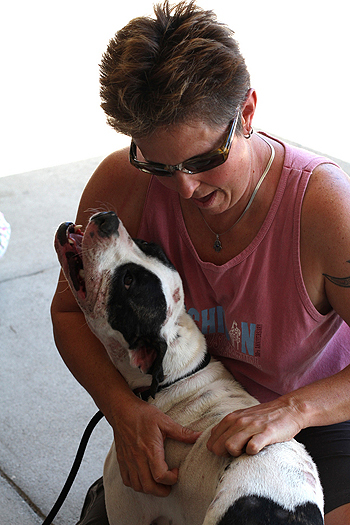 -about the human/dog connection, you should be a pit bull advocate. -about discrimination, you should be a pit bull advocate. I thought it would be helpful to start sharing some real time advocacy case studies as they come up, so hopefully you all can start recognizing and applying advocacy opportunities in your own day-to-day life. FAN: Hi StubbyDog! So today at work one of my colleagues told me they were bitten by a pit bull mix last night, and they were in the ER for a small wound. Now they have an adverse outlook about pit bulls. This individual has a Rottweiler mix himself, and the dog who bit him is his neighbor’s dog. (They were not the greatest of people even before this incident.) I’ve been a very outward advocate for the breed and he is aware of that, however, he began to throw statistics about aggression and dog bites at me about the entire breed and was not a jerk about it but is definitely bitter towards the breed. I could have thrown stats that show the opposite to him all day long but chose not to say much because he knows how I feel about it already. I made sure that I wasn’t making excuses for that specific dog, as obviously that dog does show signs of aggression and may need to be more contained/supervised than he is currently. As an advocate I don’t want to ignore the subject but do not want to push it either. Any advice about how to handle this situation? ME: Thanks so much for reaching out on this issue. It sounds like you’ve handled the situation very well so far. Making sure that you focus on the individual dog, as you did, is very important in cases like this. In addition, looking at the particular situation that dog was in. I always recommend our “Checklist for a Dangerous Dog” as a good place to start. Then, it might be helpful to give him this sheet, which shows the truth behind a lot of the stats he might be throwing at you. And, of course, as I’m sure you know and have already done, make sure you show compassion for what happened to him and understanding about his fear. Thanks so much for being such a great advocate for our dogs! A block from my house, as I’m on my way to the grocery store, I see a man walking his two pit bulls. As I pass them, I can’t help but notice how horribly emaciated these two dogs are … every rib is showing, their pelvis bones are protruding. I literally think I’m looking at two skeletons with fur. I panic because I don’t know what to do, but know I need to do something. I drive around the block twice before I have enough courage to say something. As I pull up to a stop sign, ever so casually I say, “Hi.” He looks at me funny and manages to nod at me. As I pull away, I call my awesome friend Lindsay, just in case she gets some random person calling, and if he does bring his dogs, I tell her I will donate some money towards their care. And at the grocery store, I pick up two bags of dog food, just in case. I posted this because I think so many times we feel powerless. We see some thing and know that it’s not right, but we get stuck on how to help. For me, the best tool that I have is my voice. Occasionally, I get so tongue-tied or so nervous that I can’t speak. But doing something as simple as a conversation can mean the world of difference. Helpful stuff, Laura. I can apply some of this to situations I’ve encountered. Thanks. Amazing post, Laura! I am always trying to convince people that it doesn’t take money or power to make a difference for Pit Bulls. We can all do just a little, and when a lot of people do just a little, it adds up to something great! Thank you for all you do! @TheLazyPitBull. Every little bit helps. Seems some people feel only those with enormous resources make a difference, which is simply not the case. I’m not rich or powerful, but I do what I can. Hopefully that approach will catch on someday. @Matt.S I am rich in resources and a passion for making change! I always think about the fact that we have almost 30,000 fans, if 30,000 people just did one little thing every day…the impact would be extraordinary And I think in many ways, that is what has made StubbyDog so successful in making a difference, we’ve been able to give people the motivation and resources to do just that! @LauraPetrolino @TheLazyPitBull Case in point: A few minutes ago I encountered a neighborhood dog owner walking her dogs. (two small breed dogs) She asked about Herman and was sad to learn of his passing. I just asked her to love on the next pit bull she encountered. Brought tears to my eyes. Caring helps. Caring not just for the dogs but the people who own them too. Sometimes they may have a problem you don’t know about and helping might make a difference in the dogs’ lives and the people who own them lives. @JeneenBurns Extremely well said! As pit bull advocates it is especially important that we ‘don’t judge a book by it’s cover’ and make assumptions about people or dogs, before investigating a bit deeper! It also helps that you chose to come from a place of empathy rather than one of censure. Judging gets us no where. We need to recognize that getting the facts first is really important. Nicely done and a lesson to us all. @DianaJones Could not have said it better myself! What a beautiful post. Jamie’s story is wonderful, too. It’s easy to label all dogs with certain tendencies, but the honest truth is that it’s not true for all dogs. The same can be said of human beings.